A router is the core of any Internet experience, but most people do not spend a lot of time setting up this critical hardware. Old firmware, standard passwords and other configuration issues are still being followed by many organizations. Using the bad, neglected computer in these routers has become so popular and easy that automated tools have been created to make the process a breeze. In this hacking tutorial, we learn RouterSploit, a tool for automating the process of router evaluation. But before we go in directly, let's get some background information about the tools available and why router utilization is so great. Router utilization works by violating a router's Wi-Fi security. Bypass the administrator logon page and access administrative features. An experienced attacker can then target the existing firmware that runs the router into a practice called "rootkitting", where custom firmware is inserted into the router to enable advanced malicious functionality. This may vary depending on an attacker's objectives and resources. This includes spying on the user and any connected devices that inject malware into the browser to exploit attached devices, allowing for advanced spear-phishing attacks and illegal traffic Routing criminal activities through exploited routers. Government agencies like the NSA and CIA are picking up exploits for routers, and the ShadowBrokers have threatened to release these exploits on the heels of Windows SMB leaks, the WanaCry (or WannaCry) brought forth. If they follow the threats to wipe out router exploits in June, tools like Cherry Blossom might prevail. These tools from NSA and CIA control entire networks of infected routers and turn them into advanced wireless spy devices on the ground. Why build a fancy espionage device when you can turn a home router into one? Cherry Blossom is a rootkit master framework in which routers are automatically exploited and turned into "fly traps". 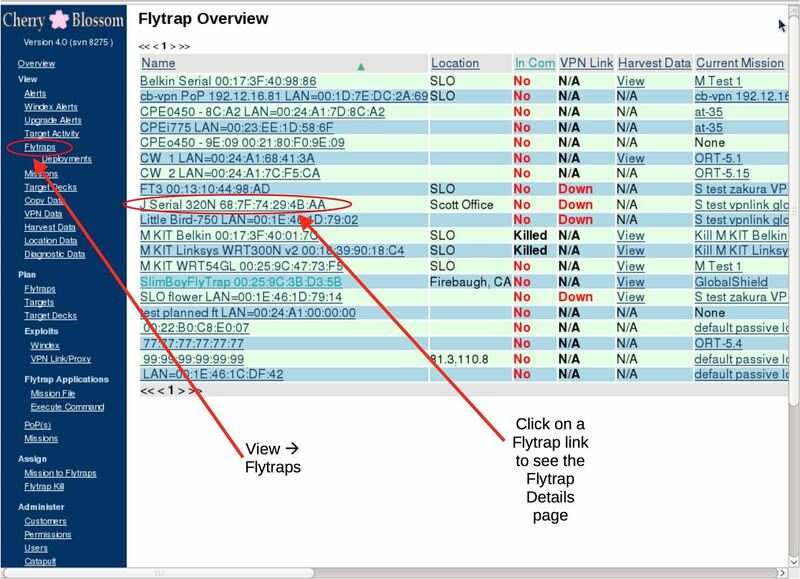 A Flytrap is a router that has been compromised and updated with special firmware that prevents the user from updating or modifying the new firmware. 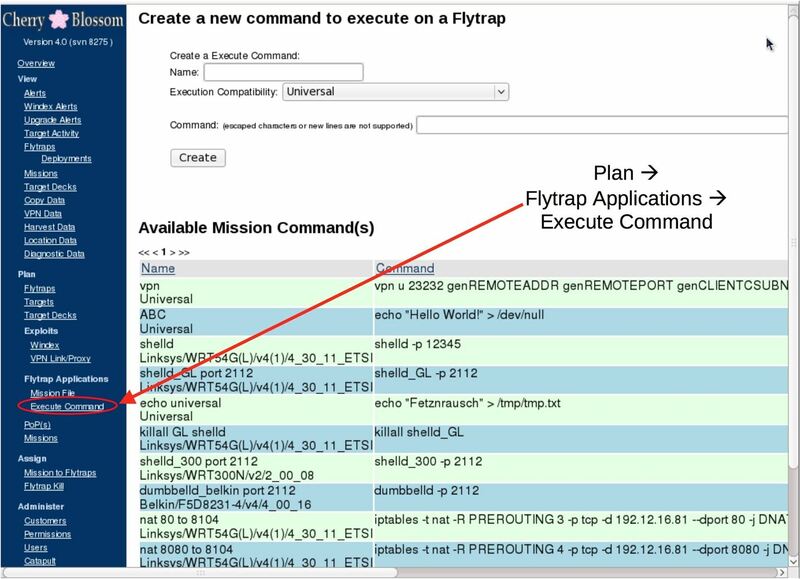 The flyer trap sets up a "beacon" on a command-and-control server called "Cherryweb" and then receives "missions" from an operator via an encrypted VPN tunnel Advanced modules, such as "Windex", which perform a drive-by-malware injection attack against any connected target, can turn a Flytrap into an advanced remote espionage platform that can be controlled from anywhere. Apart from the spy application that the CIA focuses on, routers and IoT devices are often attacked because of their routing capability. RouterSploit, the tool we work with today, not only compromises routers, it can also go behind webcams and other connected devices. While the CIA uses VPN connections to hide traffic to and from command-and-control servers cybercriminals will use these devices to detect malicious traffic to avoid discovery. 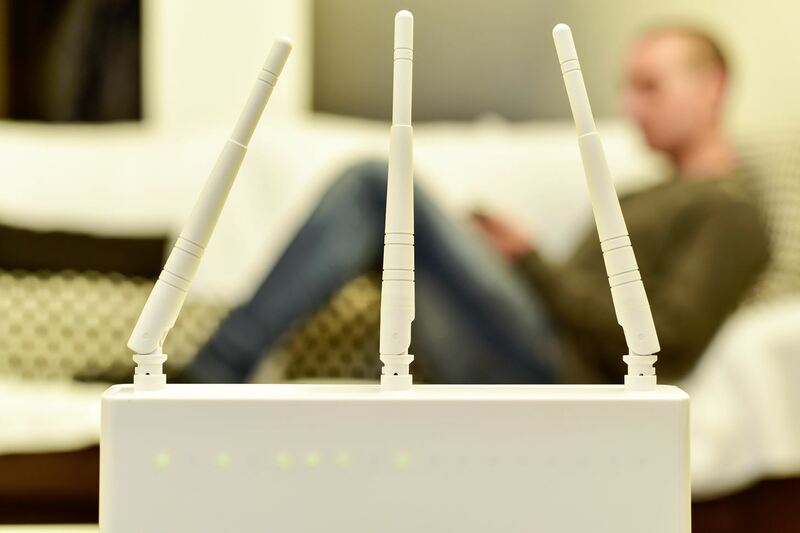 In fact, networks of these infected routers and IoT devices are sold as black market proxies to hide illegal activities such as credit card theft, darknet transactions, and DDoS attacks. If you do not back up your router, you could log in to forward traffic to criminal hackers. Simply trying out the default password is the first step towards router usage, but there are also advanced frameworks for beginners. Why would a beginner want to use a router? At the local level, you have complete access to the network if you completely compromise the router. In this way, you can control or forward the destination's Internet experience to any location or anywhere and forward ports for remote access. You should consider a router as an early and productive target during the stages of engagement. Even if you are a beginner, the autopwn scanner on RouterSploit will automatically test a number of vulnerabilities against a destination IP address, reducing the process of finding a potential exploit to a few seconds. 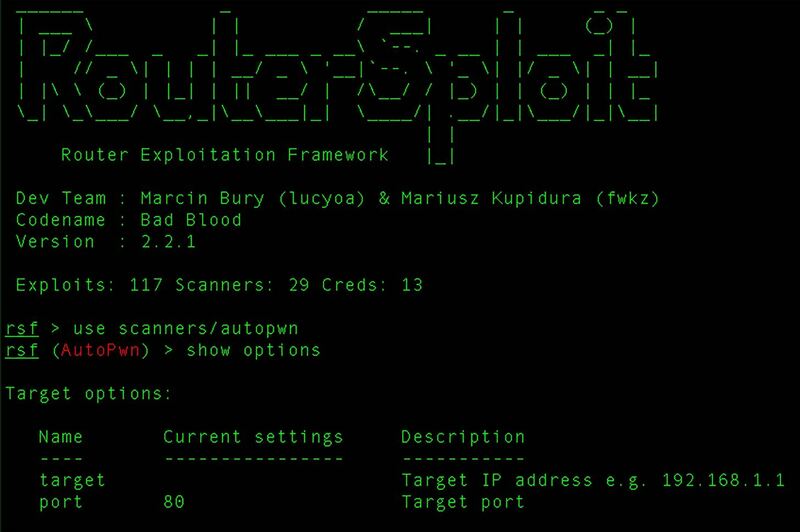 RouterSploit is a handy Python program that automates most tasks related to compromising a router. Modeled after Metasploit its commands are familiar to anyone familiar with the Metasploit framework. It includes scanning and exploit modules and is available for Kali Linux (and Mac OS X or Mac OS X if you want). Once connected to a destination network, a scan shows if a router can be easily exploited by the framework. Today we'll go through the autopwn feature to quickly identify vulnerabilities on routers and attached devices. RouterSploit is great because it runs on Kali Linux, our Kali Raspberry Pi, macOS or Mac OS X, Windows and even on an uninhabited Android phone. In the beginning we have to deal with some dependencies and make sure that Python is installed. Besides, compromising a router has never been easier from any device you have on hand. For the first time, connect your computer to a network with a router that you want to scan. Navigate to the RouterSploit folder and run RouterSploit by entering the following commands. 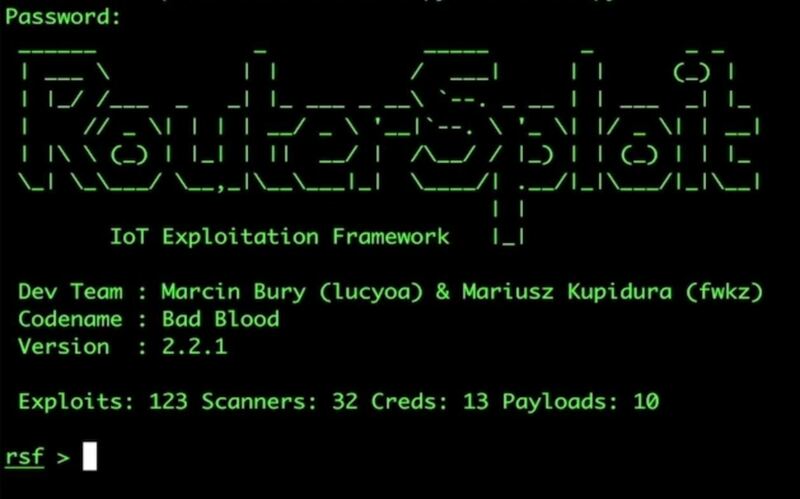 The RouterSploit framework will open, and you'll find that it's remarkably similar to the Metasploit framework, both in interface style and in workflow. As you can see in the following issue, There are many exploits, default credits and scanners! How funny. At the beginning we start with a scan against a destination router, which checks whether any vulnerability could work against it. At the end of the scan, it will return a list of every exploit that works against the target – no research required. We will use the autopwn scanner to find any vulnerabilities to our target. Find the IP address of the router and save it as we will need to enter it soon. Most of the time the router is at 192.168. 0.1, but that can change. You can use Fing or ARP scan to find the IP address if you do not know it. After starting RouterSploit, enter the autopwn module by entering the following commands. In this case, the destination is set to the IP address of the router. Enter the destination and then the IP address of the router and press Enter. Finally, enter run to begin the scan. After the scan is complete, a list of vulnerabilities found will be displayed. We can choose from this list which exploit is best for our needs. Here we see a router with many vulnerabilities. This will set the target and confirm that it is vulnerable. The target looks good and vulnerable. To fire the payload, tap run . If the exploit is successful, you should be greeted with internal configuration settings that may compromise user login and password, device default and serial number, and access to the router, among other things. Other modules let you remotely feed code or pass the router's password directly. What you can do depends on what the destination router is prone to. Dieses Intro sollte Sie mit RouterSploit vertraut machen, um einen Router zu kompromittieren, jetzt können Sie andere Module verwenden und mit verschiedenen Arten von Exploits experimentieren. Obwohl Autopwn eine praktische Funktion ist, versucht es viele verschiedene Exploits und ist daher im Netzwerk sehr laut. Die bevorzugte Option besteht darin, Ihr Ziel zu scannen, einige Rekonfigurationen durchzuführen und nur die relevanten Module für den Hersteller des Ziel-Routers auszuführen. Während die Nutzung von Routern im Trend liegen kann, sollten Sie daran denken, dass der Router von jemand anderem ohne Erlaubnis ein Verbrechen darstellt. Es sei denn du bist der CIA. Sie können mir hier Fragen stellen oder @ sadmin2001 auf Twitter oder Instagram.